For the first time this season, the New England Patriots played complementary football. 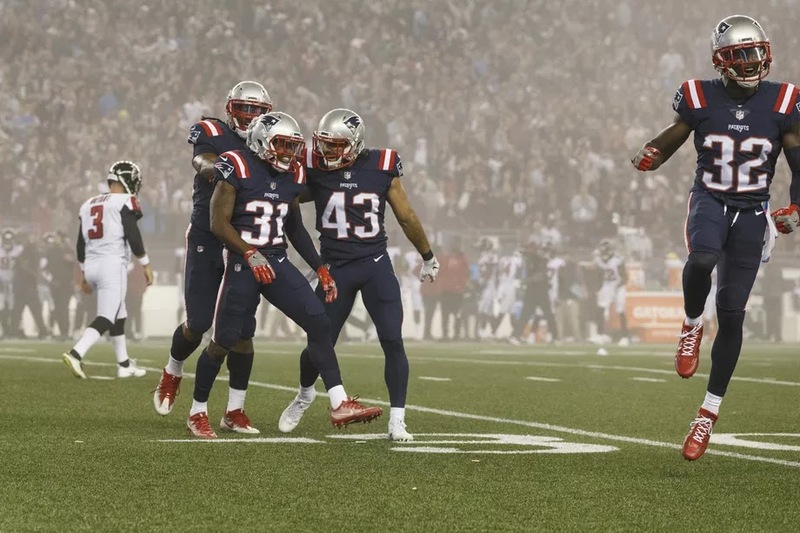 A struggling Patriots’ defensive unit easily put on their best performance so far this season in the team’s 23-7 victory over the Atlanta Falcons on Sunday Night Football. 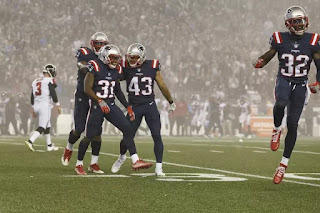 Even without two of their top three cornerbacks, Stephon Gilmore and Eric Rowe, the Patriots’ defense played with high intensity and emotion for a full four quarters – holding the Falcons to just two-of-nine on third down and one-of-three on fourth down, including an impressive fourth-quarter goal line stand. They also held Atlanta quarterback, Matt Ryan, to 233 yards – marking the first time this season they’ve held an opposing quarterback to under 300 yards passing. Yes, we’re talking about the same defensive unit that ranked dead last in the NFL through the first six weeks. This complete turnaround gave us a group that was able to command and dominate the league’s No. 5 offense last night. New England safety Duron Harmon believes they have finally created a foundation that they can build upon. This is exactly the type of defense that #PatriotsNation has been yearning for all season long. And with play like that from both sides of the ball, New England has officially reestablished itself as a top contender in the league.